A commercial office cleaning business is a great business to start if you want to make an excellent living by providing a service that is consistently in demand. Commercial cleaning is a recession-proof business that can expand to any size desirable. You can start out your business small and scale up. Unlike many new services, a commercial cleaning business is a relatively low-cost entrepreneurial start-up. But it doesn’t have to remain small. You can grow it as large as you can imagine. What factors must be contemplated before starting? You will need a legal structure to protect your business as well as all the necessary permits and contractor business licenses. Will you have a business partner or partners? Will you want to have a board of directors? 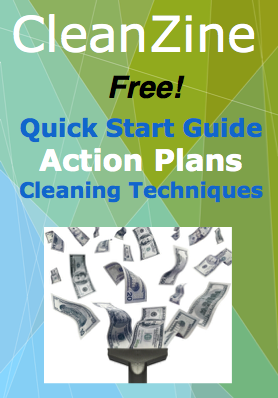 Will you ever plan on going public with your cleaning company? There is also the issues of insurance and bonding that need to be agreed upon before starting. You will need to consider the scale and scope of your cleaning services in order to determine which tools and equipment you need. You may need a floor polisher / buffer and a commercial grade vacuum cleaner as well as a professional quality mop and bucket system. You will need both time and employee management systems in place to make your cleaning service efficient and effective. You will have a competitive edge if your systems are well implemented and executed. Do not skimp on good systems, they are vitally important! Possible clients include banks, retail stores, warehouses, factories, restaurants, schools, churches and government buildings. The list of potential clients could never be exhausted, even if you’re in a crowded cleaning service market. A commercial office cleaning business may be the perfect business to start if you are searching for ways to make a good living and providing a much in-demand service.